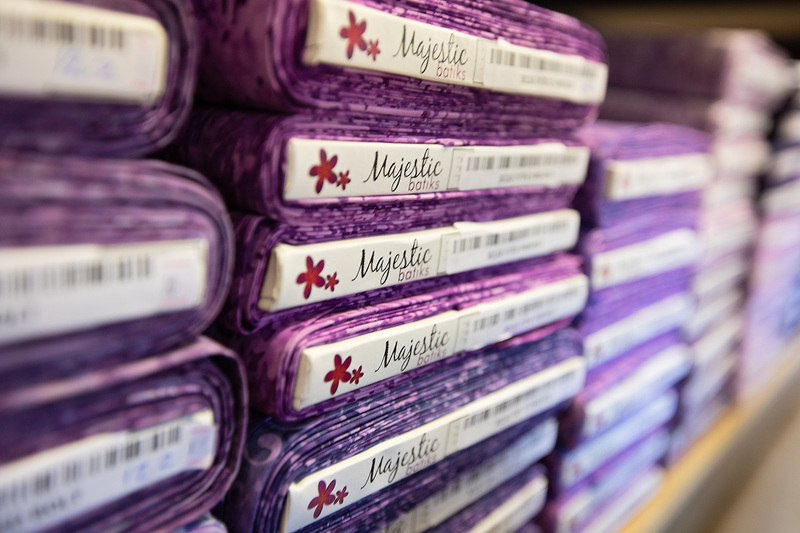 The Majestic Batiks Starter Club is for first-time shop owners and/or new auto-ship club members. It is a six-month program and includes 6 shipments of 10 (6) yard bolts. With over 1,000 bolts to choose from, you are guaranteed a unique selection. This is a great way to build your batik collection while going easy on your budget. Add this program to your cart now, place your order and one of our associates will contact you to get you started in the program. This program is specifically designed to help you build your batik inventory while going easy on your budget. You can choose from our in stock 6-yard bolts for this program or we can choose for you. Usually it is a combination of the two. We guarantee you will love the results as your wall of batiks quickly grows and your customers will love it too.